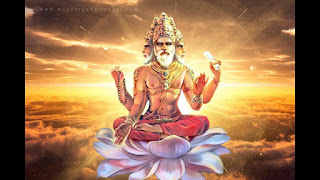 PROUD HINDU DHARMA: What is the current age of brahma ? Param (paramaathma / narayan) created brahma. Brahma has crossed 50yrs. He is on his 1st day of his 51st year. Each day time of brahma, allows 14 manu kings to rule. After each manu completes his rule, for a period of 17 lakh 28 thousand years world gets immersed in water. Each Manu king rules 71 chatur yuga. Each chatur yuga extends to the period of 43 lakh 20 thousand years. Hence, each Manu king rules 30 crore 67 lakh 20 thousand years. So far, out of 14 Manu king, 6 Manu king have already completed their rule. Now, 7th Manu king is ruling his tenure. His name is : Vaivasvathan. 7th Manu king have already completed 27 out of 71 chatur yuga so far. Currently, 7th Manu is ruling his 28th chatur yuga. Chatur yuga includes sathya yuga, thredha yuga, dwaapara yuga, kali yuga. Currently, 7th Manu has completed sathya, thredha, dwaapara yuga in his 28th chatur yuga. Currently, he is ruling kali yuga in his 28th chatur yuga. As per modern english calendar, kali yuga started by 3102 BC. Around 3300 BC, that paramathmaa (Narayan) himself did vibhava avatar as Lord Sri Krishna in Mathura. Archeological research found that 3300 BC till 1700 BC held the best indus civilization around sindhu river. If highest civil conduct is found just around sindhu river, imagine the wealth, power and hindu civilization thru'out india. By 2018 AD, kali yuga so far completed 5119 years. Considering kali yuga period of 4 lakh 32 thousand years, we still have 4 lakh 26 thousand 8 hundred and 81 years left. One year in this world completes 1 day in swarga loga. Above our earth, is bhuva loga (stars and sun). Above bhuva loga is swarga. Hence it takes time to complete a day when earth completes an year. Devas in swarga loga ends their tenure after 100 years of their life time. 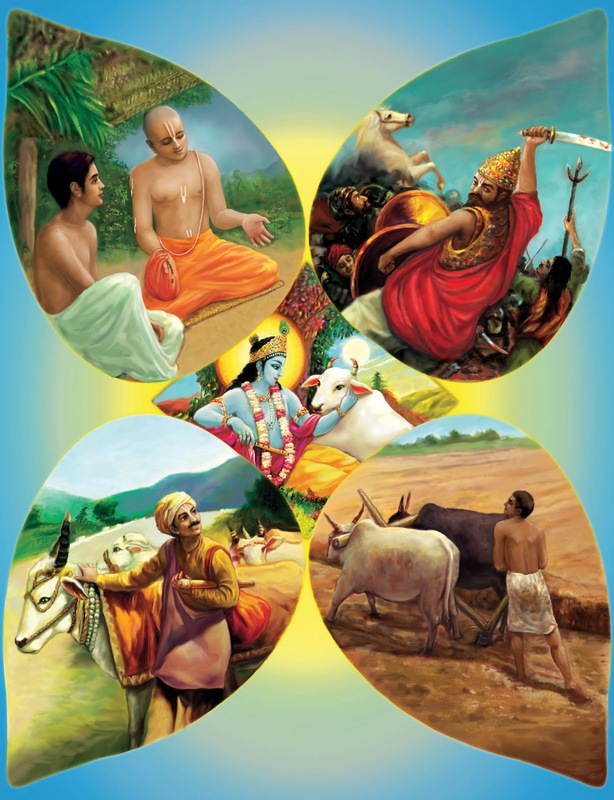 Based on good deeds, they reach makara loga, jana loga or thapo loga which are above swarga loga. Based on bad deeds or mistakes they did to yogi, rishis in these makara loga, jana loga or thapo loga, devas may come back and born in this lower world called earth. For devas, it is a shame to reborn in earth. Above thapo loga, is sathya loga. In sathya loga, lord brahma resides. When all 14 Manu kings completes their ruling, brahma complete his day time. Brahma goes to sleep during night, which is as long as the day time. When Brahma goes to sleep, he destroys bhu (earth), bhuva, swarga loga. Also he destroys all 7 loga below bhu loga. He don't destroy his own sathya loga, and also makara loga, jana loga or thapo loga. During this time, Millions of soul (jeevaathma) which is yet to attain moksha (vaikundam) and lived materialistic life again and again after birth and rebirth, reaches paramaathmaa's heart to reside. When we sleep, we don't know what we are doing in sleep. With same condition, the millions of soul, stays in paramaathmaa but with ignorance of their presence or paramaathma presence. Once brahma wakes up, he regenerates bhu (earth), bhuva, swarga loga. Also he also regenerates all 7 loga below bhu loga. He won't leave, until a soul think about paramaathma (narayan) and devote his life to reach him thru bhakti (love to god). If we are reading this, it tells we have not attained moksha yet. Brahma is also not ready to give up his task. We are also giving best fight to achieve rebirth again and again than attaining moksha.